“Pearls Before Swine” as drawn by Bill Watterson. Pastis wrote on his blog an extensive look at what the creation of these strips was like, as well as working with Watterson himself. As for the strips themselves, the set-up plays on (in-universe) Pastis’ constantly being slammed as an awful writer/artist, with a neighbor’s little girl trying her hand at drawing a few “Pearls” strips… which come out looking very Watterson-like. The entire storyline may be read here: Monday; Tuesday; Wednesday; Thursday; Friday; Saturday. 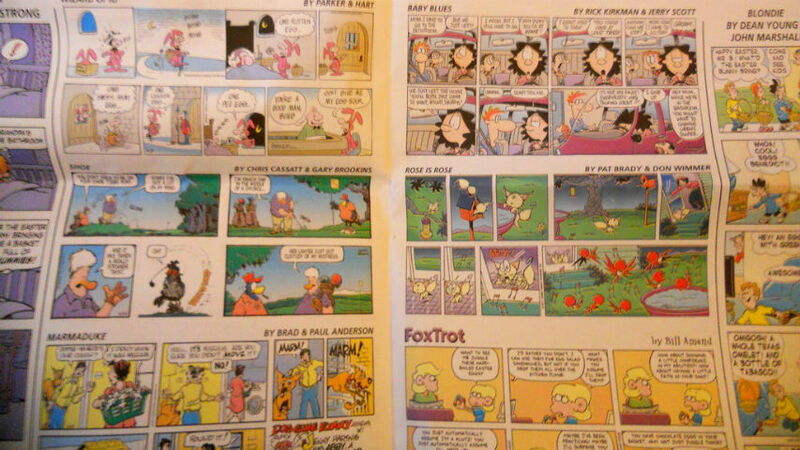 The Wednesday, Thursday, and Friday strips contain Watterson’s work. I recall the “lack of space” punchline as one criticism Watterson had of newspaper comics.